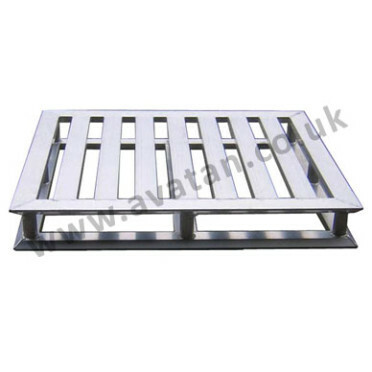 Hygienic flat aluminium pallet, any size and quantity. 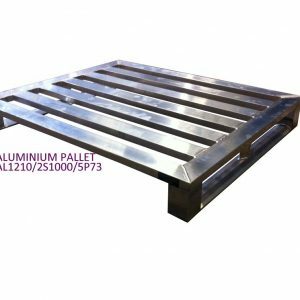 Aluminium pallet shown here with 80mm double hollow section planked top deck and chamfered skid section perimeter base. 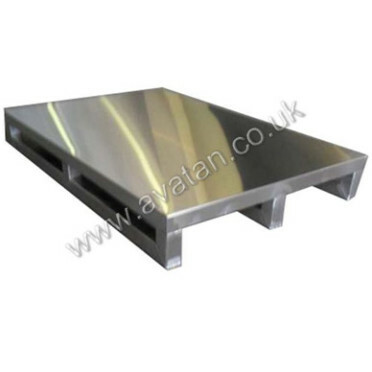 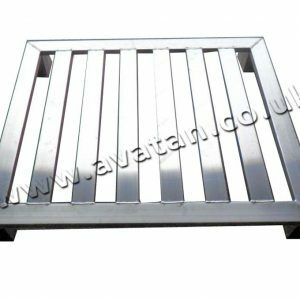 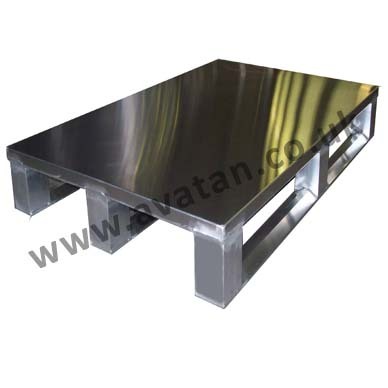 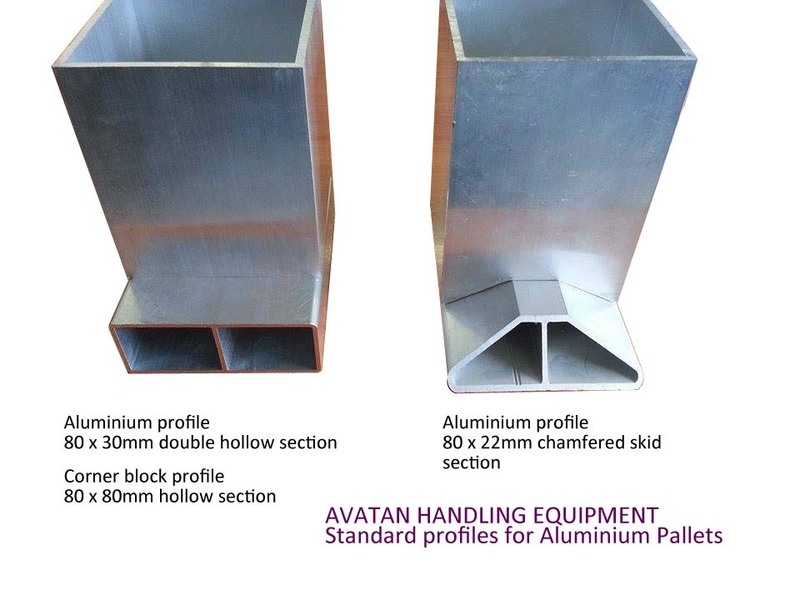 Aluminium pallets are light and very durable with seam welded sections throughout.